Casey Cooper prepared to head off to play baseball at Northeast Texas Community College in 2007 and he spoke to The Arkansas Democrat-Gazette about the influence of his father, Jamie Cooper. Jamie Cooper had played six seasons in the minors, but the son recalled growing up as a normal kid liking baseball, with some help here and there, according to The Democrat-Gazette. "He gives me advice on the game around the dinner table," Casey Cooper told The Demcorat-Gazette. "It's nice to get pointers here and there." Casey Cooper's career appears to have ended in college. His father's career went on from college to the pros. Jamie Cooper made it as high as AAA, but he never made the majors. Jamie Cooper's career began in 1987, taken by the Giants in the sixth round of the draft out of Dallas Baptist University. Cooper played his first year at short-season Everett. He hit .217 in 59 games. He picked up two hits in an August win. 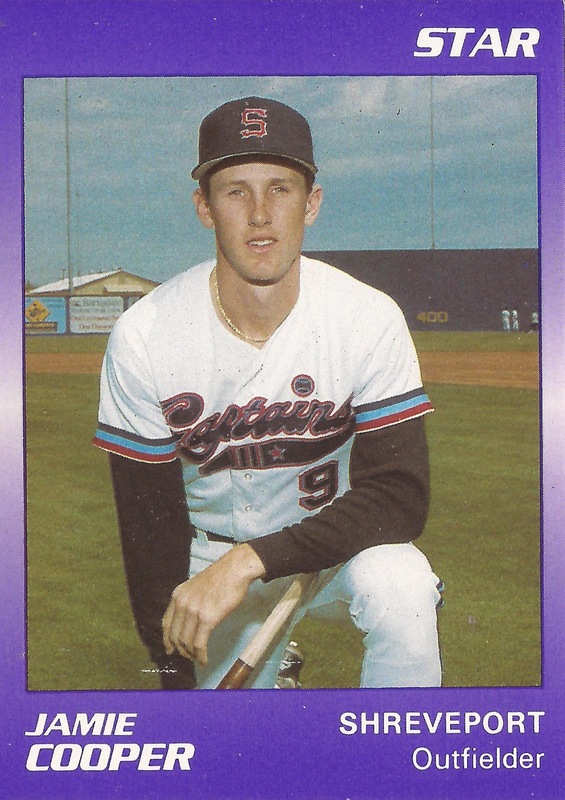 He moved to single-A Clinton for 1988, improving his average to .297. He played 1989 at single-A San Jose, then 1990 at AA Shreveport. He scored the winning run in a spring 1990 game. He hit .231 overall that year at Shreveport. Cooper returned to Shreveport for 1991 then split 1992 between Shreveport and AA Phoenix. In 75 games at Phoenix, Cooper hit .223, ending his career.